NASA/WIKIMEDIA — Sunset through Earth’s atmosphere, as seen from space. The first ever international public conference on geoengineering, the deliberate tinkering with Earth’s atmosphere, is under way in Berlin. Researchers there are considering a call for stringent controls on future field experiments aimed at finding ways to curb climate change. 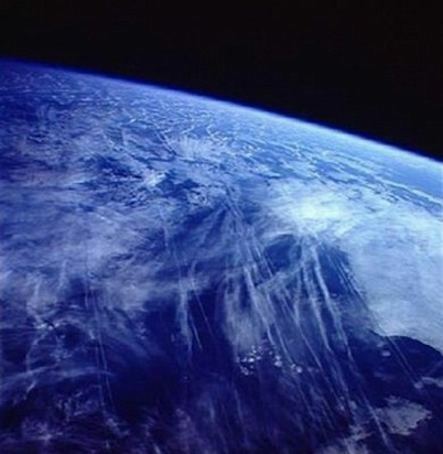 Geoengineering ideas have included pumping particulates into the atmosphere to deflect sunlight and installing mirrors in space. 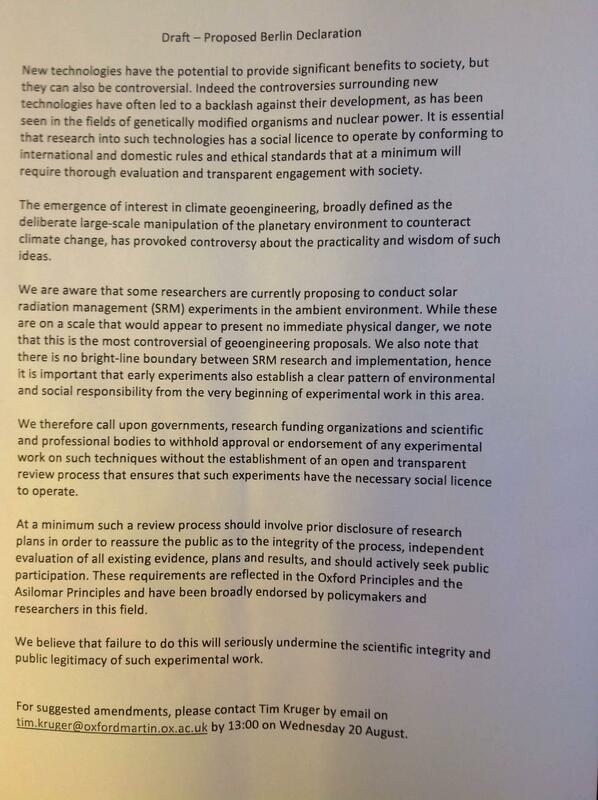 In the past, Caldeira and other researchers have feared that such broad bans could drive research on geoengineering underground, poisoning early efforts to build trust between scientists and the public on the contentious idea. 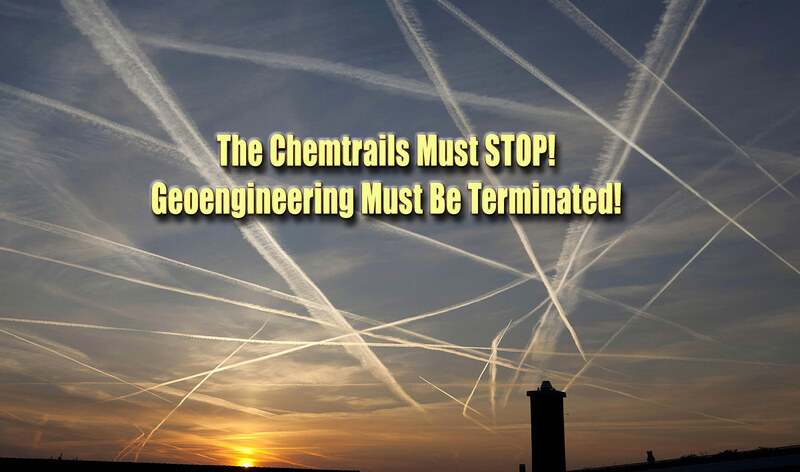 Previous calls for limits on geoengineering research have been less forceful, including statements in 2009 by ethicists at Oxford and scientists at a closed meeting in Asilomar, California, in 2010. *Correction, 20 August, 4:40 p.m.: The original version of the item stated that “a final draft of the statement is expected by Friday.” This statement may gain supporters after this conference but there is no such schedule. Additionally, a clarification from meeting organizer Mark Lawrence has been added.